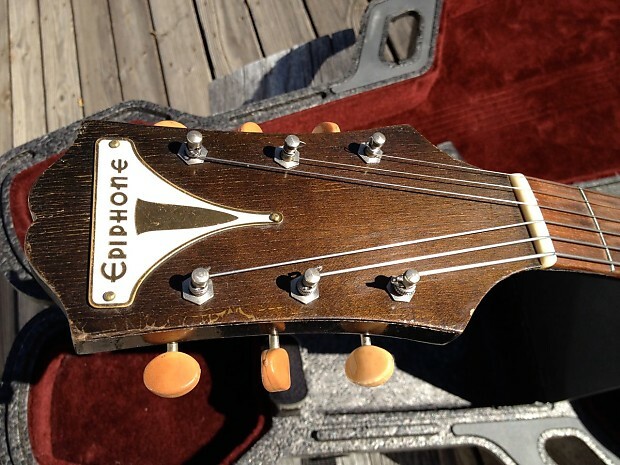 1951 Epiphone Century - Price reduced 12/6! 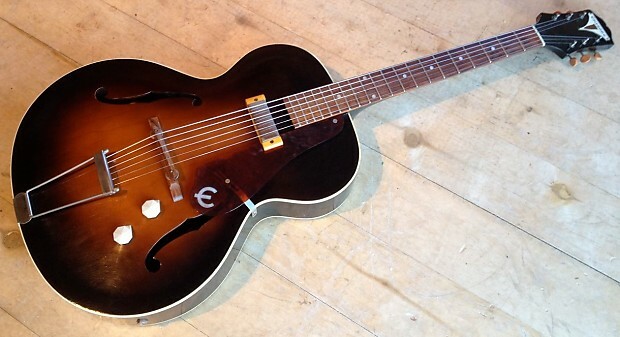 Full depth Hollow body electric guitar. 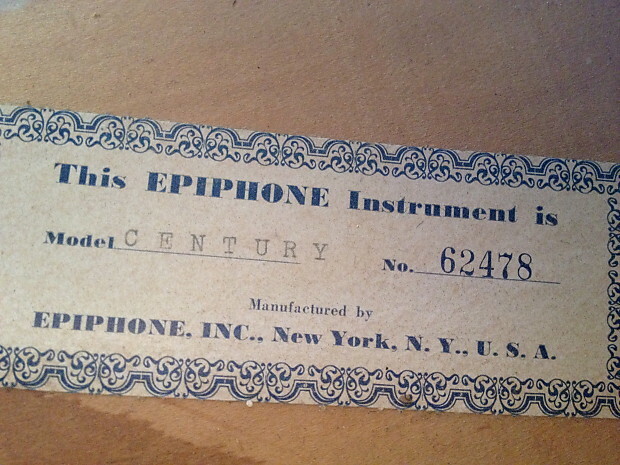 This is the last version of the New York made Epiphone Century before it became the thinline Gibson of the late 50's. 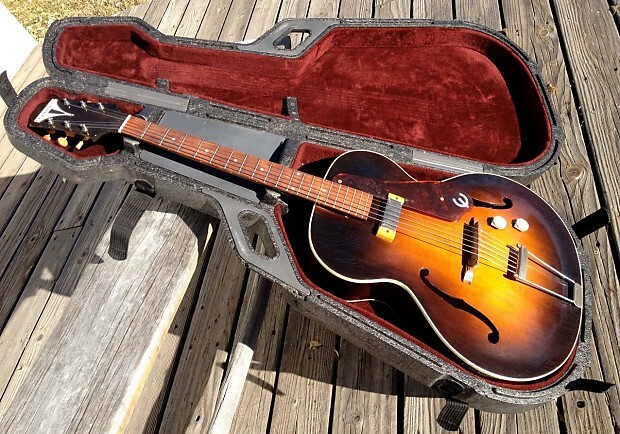 The model began in 1939 as one of the earliest electric guitars in production and pretty much paralleled Gibson's ES-125 for size and features. 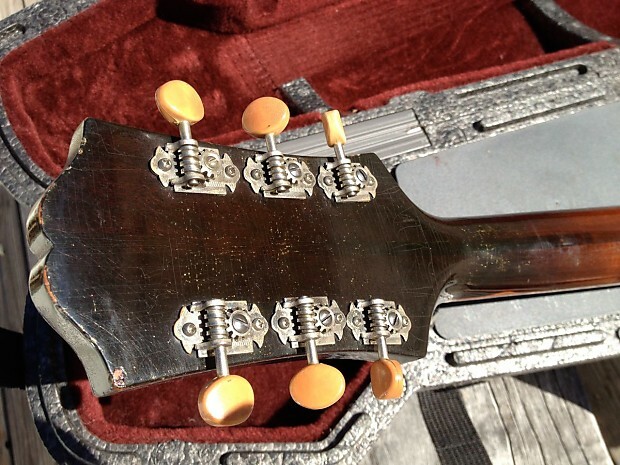 By '51 it was 16 3/8" wide with a New York Pickup and "highlighted mahogany finish". A young B.B. King played one pictured on the Singin' the Blues album cover. 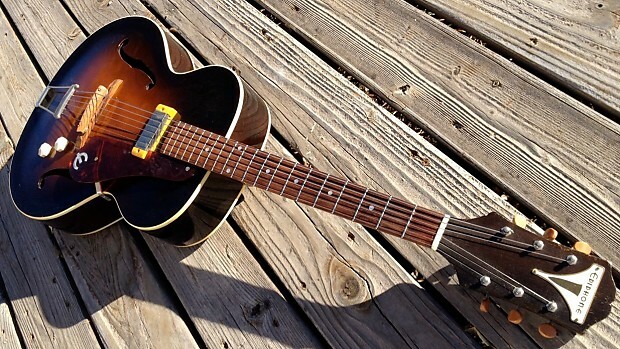 These models have a 25.4" scale, like a Martin. 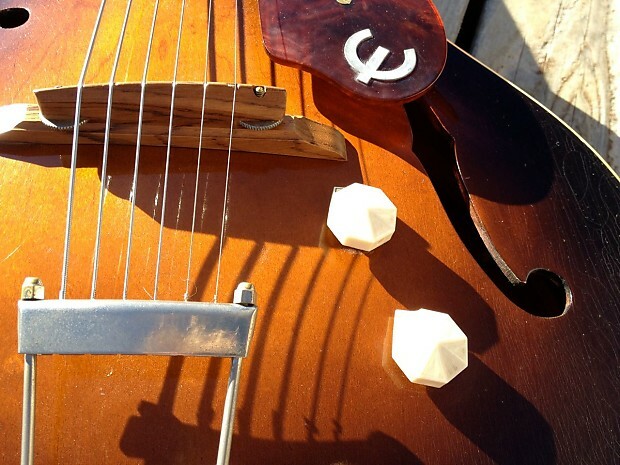 They were made of 3-ply maple that aids in suppressing feedback while offering a respectable acoustic sound. 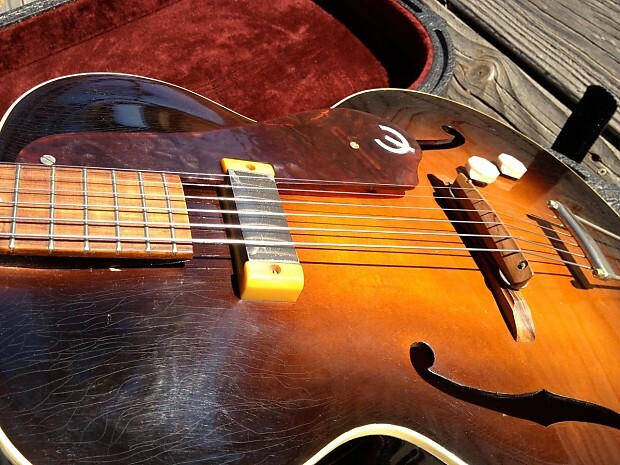 This example is all original, in great shape. There is the requisite lacquer checking and the finish is chipped in some spots, most notably the upper back. 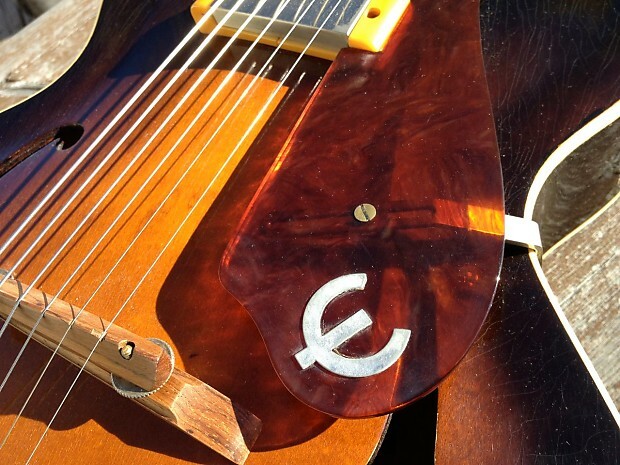 It has an Epsilon logo on it's perfect, un-warped pickguard and the steel plate bikini logo on the headstock. The guitar sounds and plays great, set up with flatwound .013s, similar to what came on it from the factory. 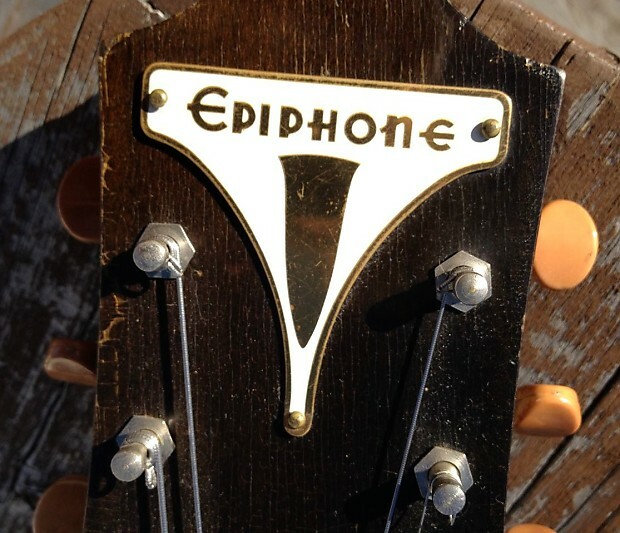 The electronics are quiet and function properly, the tone knob is to die for with it's original capacitor. 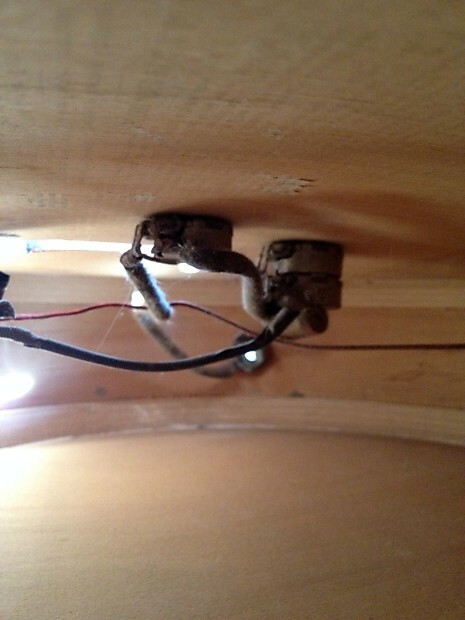 It appears a ground wire to the tailpiece may have been added, probably a good thing. The neck contour is the best part, full soft V shape. Not too big, not too small. 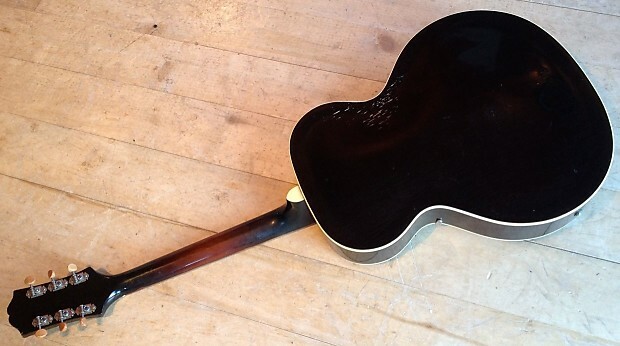 It is dead-straight with just a slight bit of relief and has a working adjustable truss rod. 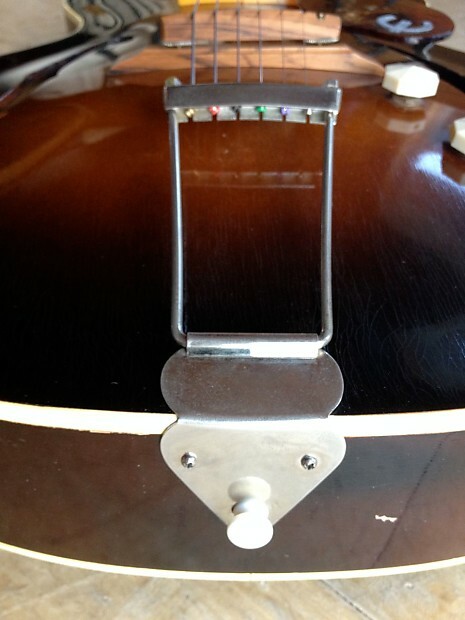 The action is medium with room to go up or down on the original adjustable bridge. The neck angle is perfect. 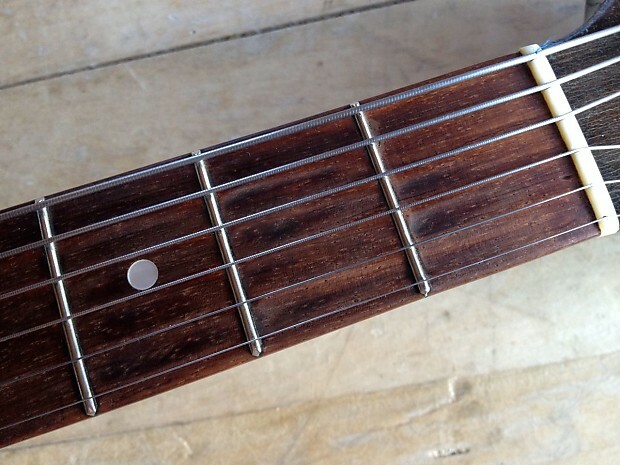 The rosewood fretboard has minor indentations in the cowboy chord position (first 3 frets). 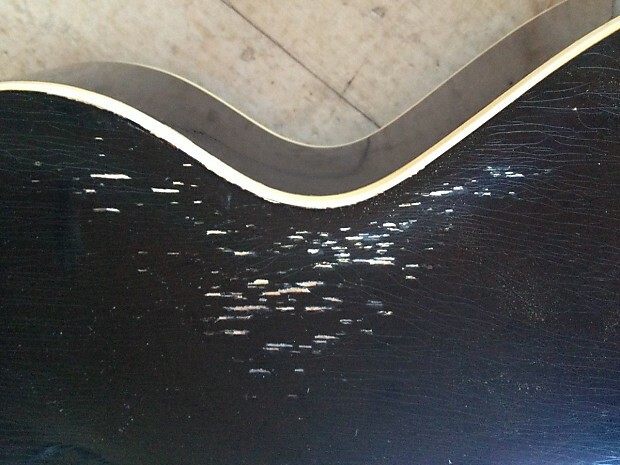 The frets show no wear though it's hard to tell if they've been replaced. 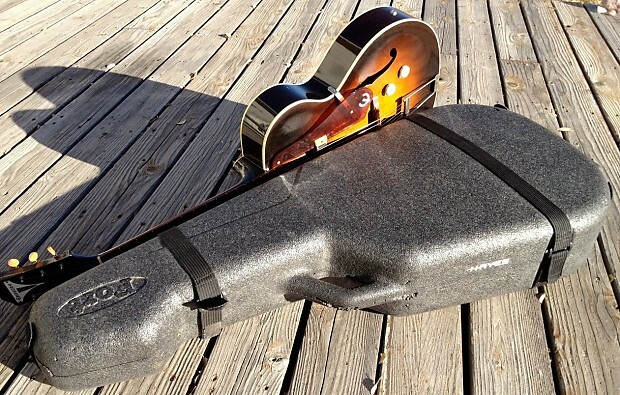 It weighs 6.5 lbs and comes in a Godin TRIC Fort light weight case that fits like a glove. I will ship this guitar double boxed, fully insured via Fedex for $37 inside the U.S.
Other carriers or locations, actual cost.